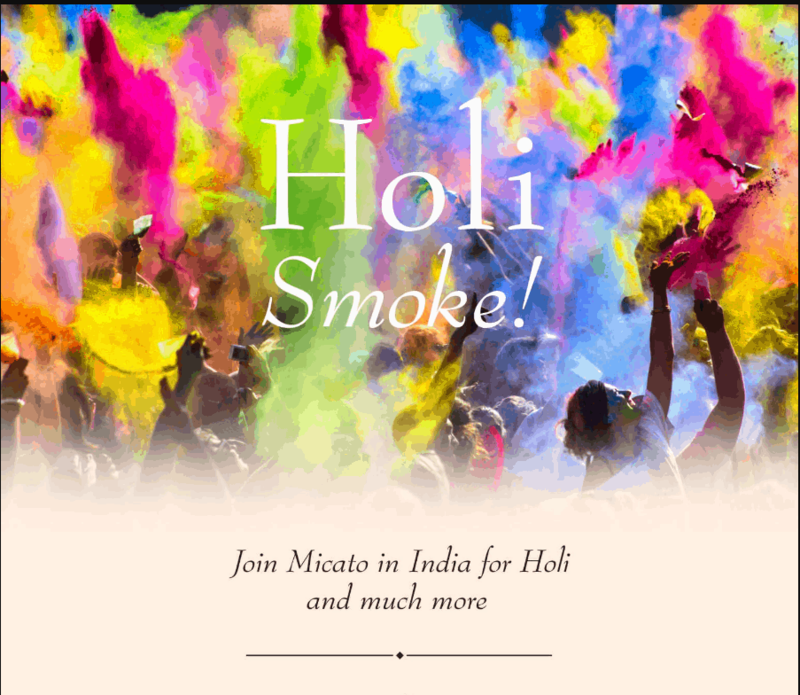 Join Micato in India for Holi & More! … and with Micato India there’s royal treatment in the world’s most exquisite luxury hotels, an exuberant and welcoming in-country staff – including a Travel Director who accompanies every India journey from beginning to end – pampering with countless little surprises, all meals, and every last gratuity. Join us on an incredible Indian adventure! Mughal monuments and majesty: Based from some of the world’s most expertly luxurious and serene hotels, this brilliantly choreographed journey brings us into intimate contact with many of India’s most compelling splendours in a little less than two weeks. Into Innermost India: We created The Soul of India to provide a thoughtful, succinctly paced, and delightful look at some of the continent’s most eye-brightening sights, including supremely holy Varanasi. Majesty and Luxury Abounding :On this journey to India’s north, we visit the grandest of the subcontinent’s old and its new palaces, in some of which we happily stay. And the River Ganges: If a country can have a soul, India’s is here, in Varanasi on the banks of the sacred river Ganges. A nexus of Hinduism, simultaneously a religion and an everyday way of life. Aboard the Oberoi Vrinda: Wend the serene Backwaters of the Malabar Coast aboard the intimate and delightful, eight-cabin Oberoi Vrinda, based from Kerala.